Suzuki Auto South Africa has added a new sedan model to its Swift hatchback range. The new four-door sedan will be marketed under the DZire name, and shares the proven platform of the Swift hatch, while adding the a boot and more space for rear occupants. The new Swift DZire is powered by a latest-generation 1,2-litre engine which has excellent fuel economy. The four-cylinder, 16-valve unit is offered in conjunction with either a five-speed manual or a four-speed automatic gearbox. Swift DZire buyers also get to choose between GA and GL specification levels. The cabin provides comfortable seating for four or even five occupants, while the 300 litre boot ensures ample luggage space. Safety and security measures include dual front airbags, remote central locking, and inertia reel front seatbelts with load limiters and pre-tensioners. The 1 197 cc power unit produces a maximum output of 63 kW at 6 000 r/min, combined with a torque peak of 113 Nm at 4 500 r/min. consumption is a around 5,7 litres/100 km. 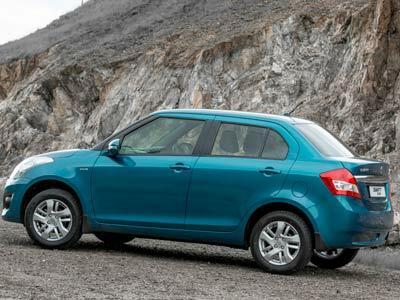 The recommended retail prices of the new Suzuki Dzire range include a two-year/30 000 km service plan and a three-year/100 000 km warranty, while a three-year/unlimited distance roadside assistance package is also provided as part of the deal. Services are at 15 000 km intervals. 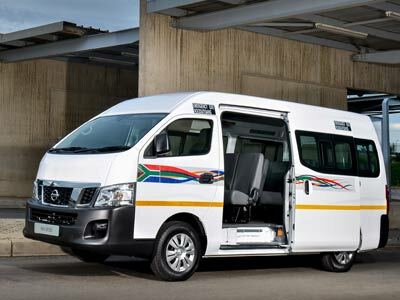 Nissan have launched a new minibus taxi,a 16-seat model, built to comply with South Africa’s taxi industry. The new NV350 Impendulo Taxi, gives a strong local flavour to the taxi. Says Tessa Cooke, NV350 Product Manager at Nissan South Africa: “Impendulo is the isiZulu word for ‘the answer’, a term which can be applied to the NV350 Taxi in more than one way. With it, we aim to recapture the love and affection of both taxi operators and commuters. The Nissan enters a market in which over 4.5 million people travel in over 220 000 taxis on a daily basis. The new Nissan NV350 Impendulo is powered by an existing 2.5-litre petrol engine, which produces 108 kW at 5 600 rpm and 213 Nm at 4 400 rpm, mated to a five-speed manual gearbox. Fuel economy is improved with the assistance of low voltage control of the alternator, whereby battery charge is monitored and the alternator’s voltage adjusted to curb over-charging the battery, thereby reducing load on the engine and lowering fuel consumption. Improved timing chain operation thanks to low-friction materials also aids in reducing consumption, as does the engine’s low idle speed of just 600 rpm. Safety equipment includes driver and front passenger airbags, ABS with Brake Assist, seat belts for all 16 seats, a driver’s seatbelt warning buzzer, an emergency exit escape hatch in the roof and an immobiliser. The Impendulo 2.5 petrol retails at R306 900 through Nissan’s entire existing dealer and comes standard with a 3-year/ 100 000 km warranty as well as a three-year unlimited kilometres anti-corrosion warranty. Service intervals are 15 000 km. 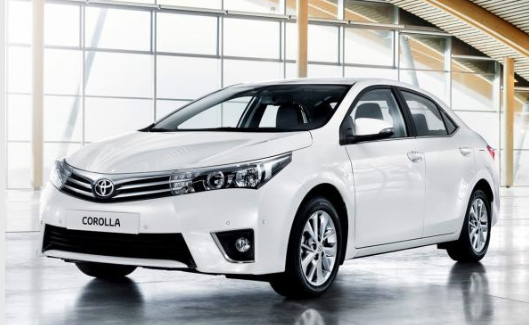 The new Toyota Corolla is here. Launched today to much fanfare, pomp and ceremony this Durban built car is very important to the SA market. Prices start at R214 900 and top out at R283 900. Cumulative worldwide Corolla sales exceed 39.7 million since the nameplate was launched in 1966, including nearly 1 million in South Africa alone. 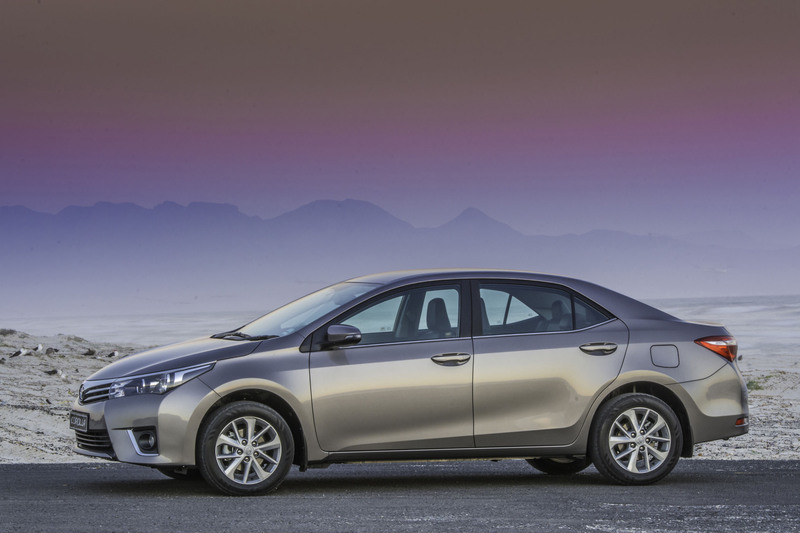 The new sedan is the 11th generation Corolla. It will be sold in more than 150 countries. With maximum torque of 205 N.m available from 1 800 to 2 800 r/min, the 1.4 D4-D turbodiesel is mated with a six-speed manual transmission allowing for 0 t0 100km/h 12 12.6 seconds. Toyota claims a average fuel consumption of 3,8 litres/100 km and CO2 emissions of 99 g/km. This may be the model to go for. The wheelbase has been extended 100 mm compared to the outgoing production model to enable more space and especially rear legroom. The new Corolla will be available in a choice of seven exterior colours, of which three are new to the model range: Seaside Pearl Metallic (light blue), Avant-Garde Bronze and Grey Metallic. Sprinter models are cosmetically differentiated by means of 16-inch smoked alloy wheels, a rear spoiler and Sprinter badging. 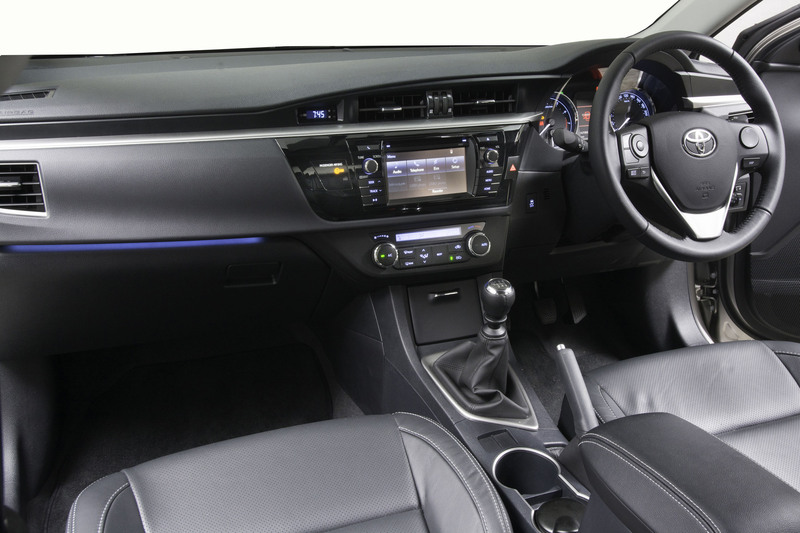 The new Corolla is not only more spacious and comfortable, but also quieter than its predecessor. The new Corolla is available in a choice of four grades; Esteem (entry), Prestige (mid), Sprinter (sport) and top-of-the-range Exclusive. A grade-dependent choice of fabric (Esteem), fabric and leather (Sprinter) or leather (Prestige and Exclusive) are available. All models except for the Esteem come with a new, leather-covered, multi-functional steering wheel incorporating a comprehensive array switches for the operation of the audio, hands-free telephone and multi-function display system. The refreshed line-up features a choice of an all-new 1.4 litre D-4D turbo diesel and three petrol engines; a 1.33 litre Dual VVT-i unit, a 1.6 litre Dual VVT-i engine and another new powerplant, the 1.8 litre Dual VVT-i unit. All engines are fitted with six-speed manual transmissions, but the 1.6 and 1.8 petrol variants may optionally be mated to Toyota’s new, high-gear, high-efficiency Multidrive S automatic transmission. Active safety has been enhanced through the adoption of a next generation ABS system and a shorter brake pedal stroke for better feel and system response. Traction Control (TRC) and Vehicle Stability Control (VSC) are available on two of the four model grades – Hill Start Assist Control (HAC2) is fitted to vehicles equipped with VSC. The new Corolla benefits from a three-year/100,000km warranty and comes with a standard five-year/ 90 000 km service plan. Service intervals are set at 15 000 km (including the 1.4 D). The new models are also supported by the ToyotaCare Roadside Assistance Programme which entitles customers to 24-hour roadside assistance, ensuring ultimate peace-of-mind motoring.